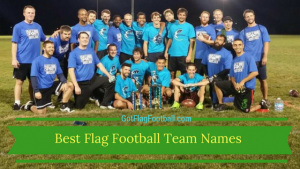 Find the best flag football adult leagues, pickup games and tournaments in Washington DC. 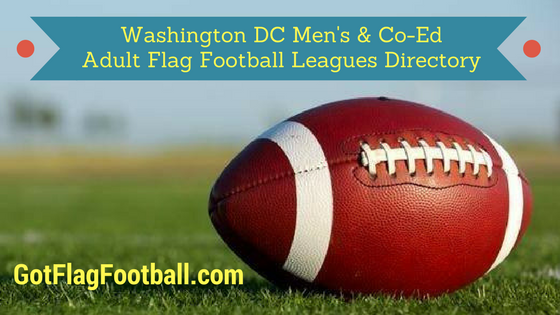 Below you’ll find the top up-to-date for 2019 list of fall, winter, spring and summer, indoor and outdoor local flag football leagues, pickup games and organizations that offer tournaments in DC. 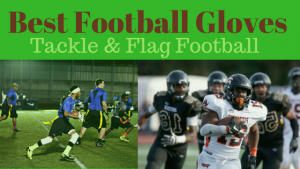 GotFlagFootball.com brings together the recreational and competitive local flag football Washington DC community of organized leagues, city recreational leagues and pickups in one list (in alphabetical order), so that it’s easy to find a game near you. 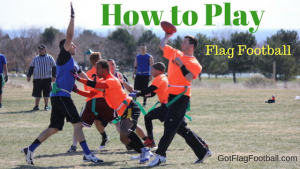 Capital Flag Football leagues is for players of all different abilities. There is a 5v5 and a 7v7 league, and men and co-ed leagues. Washington City Paper voted this the ‘Best Recreational Sports League’ in 2015. 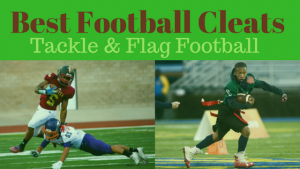 A wide variety of leagues are offered here for adults, and run in the Spring and the Fall. There is a men’s 7v7 league, a women’s 8v8 league, and a co-ed 8v8 league. Further information is available by emailing luna.harrison@dc.gov. 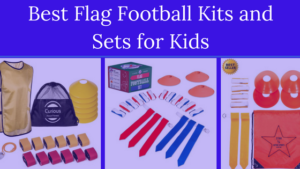 This is a flag football season offered in the Fall. Games are played between 10am and 1pm on Sunday’s, or between 6:30pm and 9:30pm on Wednesday’s. The leagues start in October. The season runs for 6 weeks, and includes playoffs at the end. A 5v5 and a 7v7 league is offered here, and both men’s and co-ed seasons are offered. The season runs for 6-8 weeks, and includes playoffs at the conclusion of the regular season. Games are played on various days throughout the week, depending on the location, though most are played on the weekend. 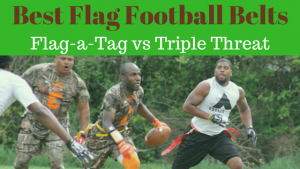 The WAFFL runs flag football leagues in the Spring and the Fall. Games are played on Sunday’s, between 9am and 2pm, and the season consists of 10 games plus playoffs. It is a 7v7 league, and is played outdoors. 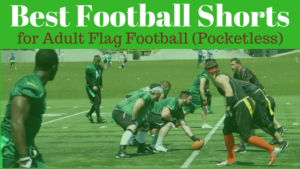 This is a flag football league for players of all abilities, and is advertised online as being available for both gay and straight individuals, male or female. The league plays on Sunday’s, between 9:45am and 2:30pm, and is played outdoors. There are four different divisions available, which run in the Spring and Fall each year. ZogSports runs two different leagues in Washington D.C. One plays on Sunday afternoon/evenings, while the other plays Monday nights, and both are played outside. Games are co-ed and 8v8, with at least 2 females required on the field per team. The season is 6 games long, with a playoff week for teams finishing in the top half of the standings.